There are many ways to clean bongs, pipes, and other smoking apparatuses. Proper techniques and tricks will successfully clean the dirtiest glassware. Careful cleaning must be observed to protect against breaking as many bongs, bowls, pipes have broken from being roughly handled when cleaning. Keeping your portable pieces cleaned and resin-free is very important. Due to the strong scent of resin, police and authorities are likely to smell the dirty resin accumulating in your pipe rather than the bag of weed. In addition, keeping bongs and larger devices clean will ensure smooth hits and better smelling bedrooms. First piece of advice: do not clean your bong when you’re under the influence. You may accidently break it by dropping the slippery glass object or knocking it over causing it to break. Once you are sober, tackling the resin that has built up in your bowl and bong will be easy. Resin will find itself in the sink, on the counter, and on the floor. It is very sticky and easily stains surfaces; therefore it should be immed iately wiped off. If the glassware has not been cleaned for several months, soaking in hot soapy water will be necessary to loosen resin particles. 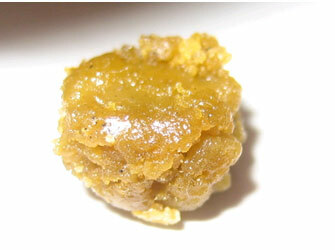 Purchasing glass and bowl cleaners from smokeshops is not necessary. Your money can be better spent elsewhere as these products tend to be overpriced. You can create the same solution by purchasing the strongest alcohol possible. Pour some alcohol with large rock salts into the bong and seal off all holes by using saran wrap and rubber bands. Shake the bong carefully to allow the rocks to scratch and remove built up resin. Rinse with hot water and repeat these steps until almost all the resin has washed off. Soaking the bong in hot water, alcohol and salt overnight may be needed to remove excess resin build up. You can also soak glass bowls in the same solution to remove built up resin and ash. Other cleaning options include OxyClean and dish washing detergent. Cleaning the outside and mouth piece with hot water and soap is also recommended. Always make sure to thoroughly rinse the bong to remove any salt and alcohol residue. These are the necessary steps in order to properly clean glass bongs. If you are experiencing problems with bad odour, soaking your bong with hot water and lemon juice is recommended. Remember, it’s important to keep your tools clean to prevent attracting the heat and to fully enjoy your bud. Taking the time to clean and sanitize bongs and pipes on a regular basis will create proper smoking habits. 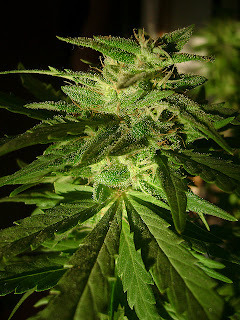 Whether you’re a regular toker or a newbie, you are most likely searching for new ways to enjoy your herb.I will quickly outline the basic and common ways to smoke your weed. 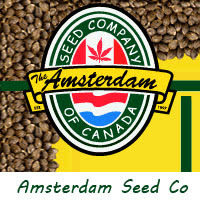 Stay tuned, I will be highlighting interesting ways to smoke your weed in weeks to come. 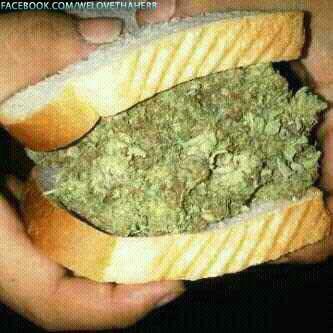 First and foremost: the joint. 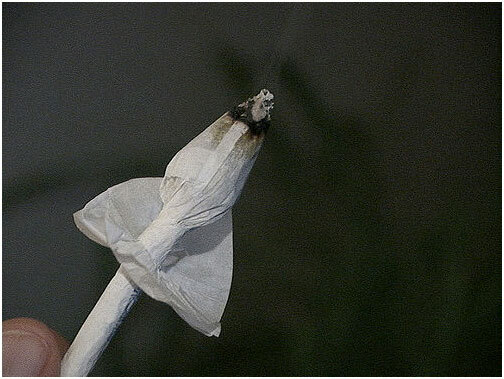 Joints can be rolled in a variety of different ways including the straight joint, cone, combined joint and tulip. I recommend the use of cigarette rolling paper which can be found at your closest corner store. The smoke intake is smooth, however it does burn quickly. Your clothes and hands will most likely smell of weed, and you must watch out for canoeing. The process is very similar to a joint. The weed must be rolled using blunt papers made of tobacco (sometimes flavoured) and the hits canbe harsh due to the large amount of weed. Blunts burn much slower compared to joints and are therefore perfect for larger groups. These are great for on the go smoking. No need for pesky rolling skills and are easy to carry in pockets or purses. They are quick and great for sharing and passing. Be careful not to break the pipe, as they are most commonly made of glass. There are a few different types of water bongs: plastic, ceramic, and glass. Plastic bongs are convenient because they do not easily break. Once you’re stoned, your senses are lowered, causing bongs to shatter from carelessness. Unfortunately, smoking from plastic bongs is not recommended due to the plastic residue which can be found in the water. Ceramic bongs are mostly ornamental; they usually break easily and are not as convenient to clean. Glass bongs are ideal. They deliver smooth and natural hits and are the most common bong used. They are built in all shapes and sizes but, remember, the bigger the bong, the more smoke it can hold, therefore take your time hitting bowls with a new bong. The disadvantages of glass bongs include the possibility of breaking and bulkiness. Hookahs are great tools because they let multiple people to smoke all at once. They allow you to burn the weed on top while we inhale from long plastic tubes. Hookahs tend to use more weed than necessary, therefore it is not very useful for large groups. 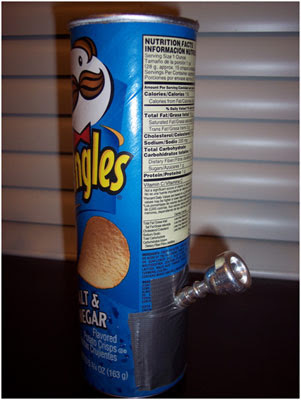 You and your friends can make your own pipe or bong with objects found in or around your home. By doing a few Google searches, you will find a multitude of different items including beer cans, apples, water bottles, etc. They are excellent for when no one has a paper or bong, however they only tend to be good for once or twice. Begin by experimenting with your apparatus and making sure it is working properly, you might have to make minor adjustments. We all like a smoke in the car and because we don't want certain people finding our stash, there must be ways of keeping it hidden. There are several ways of storing weed in your automobile. obvious. So don't stick it in the glove compartment, down the back of the seat or in the boot. Cops will look at the spare wheel too . . .
Secondly, Know your car! 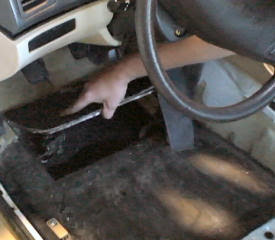 You should know any secret compartments in your car, whether it be a fuse box or a compartment behind the armrests. Cops will only rip your car apart if they think you have a large amount of weed. If you do - run! If not, then use these compartments only you know about to keep your stash hidden. A favourite way of stashing bud in a car is to hide it in the gear stick cover. Open the gearstick cover which is held on by elastic bands and you have uncovered quite a sizeable inconspicuous hiding place for your weed. Shove your weed in and close her up. . .